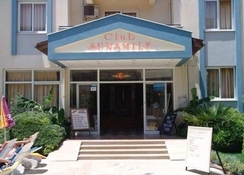 Enjoy a sun filled holiday in Marmaris by booking your stay at the comfortable and friendly Club Sun Smile Apartments. 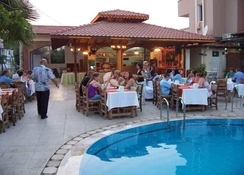 The Club Sun Smile Apartments are located in the Armutalan area of Marmaris, just 3 km from the centre and within walking distance of the beach. A range of shops, bars and restaurants are on your doorstep and at the attractive apartments service is warm and friendly. 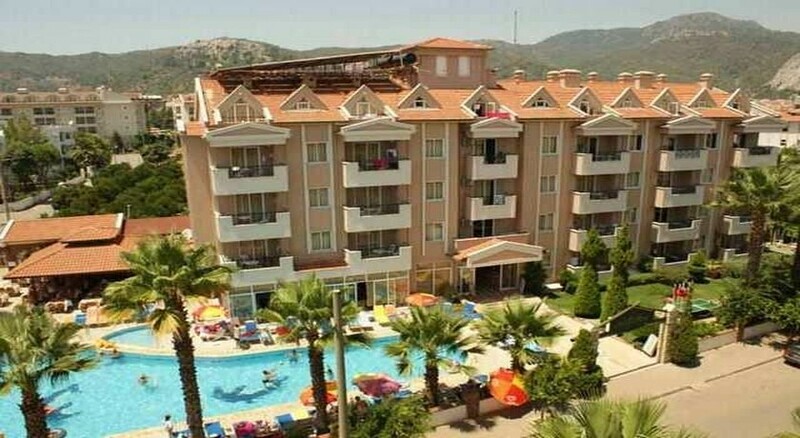 For an affordable holiday in Marmaris, the Club Sun Smile Apartments are a perfect choice! Getting there: Dalaman Airport (DLM) is 90 km from the hotel. Local Tips: Local transport (dolmus) runs close to the hotel, taking you to the beach (approx 1.5km) and the centre of town, where you can visit the large covered bazaar shopping area, castle and Marmaris Marina which comes alive at night. Further afield, the most popular daytrip is Dalyan, the home of the loggerhead turtles and Lycian Rock Tombs, just over an hour away. The facilities at the self-catering Club Sun Smile Apartments are of the highest standard with well-maintained gardens and accommodation offering everything you need for a relaxing holiday. Food, drink and entertainment: Breakfast, lunch or dinner served at the restaurant or snacks and daily menus are available at any time. Drinks are served from the poolside bar. Room service is free of charge. A range of bars and entertainment is right outside the hotel. 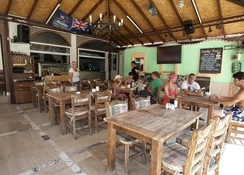 Sports, games and activities: Swimming Pool open between 9 am and 9 pm, spacious terrace with complementary sun beds, big screen TV with SKY, pool table, darts. Additional: 24-hour Reception, telephone, currency exchange, postcards and stamps, safe deposit box (with charge), Internet access. The Club Sun Smile Apartments feature 52 comfortable one-bedroomed apartments all with air-conditioning (payable locally) and equipped with living room with sofa beds, kitchenette with fridge, kettle, toaster, utensils, cooking rings and bathroom ( shower & WC ) telephone, hair dryer, and spacious balcony. Room service and guest laundry service is available. Went to stay at club sunsmile for the 2nd time this year the hotel is clean and well maintained the room Was freshly decorated and cleaned on a daily basis to a high standard. The staff were helpful and welcoming nothing was too much trouble. The food in the restaurant was fresh and prepared in good time. The pool area was cleaned on a day basis abd again well maintained. The only criticism is that the bar area is small and the drinks took a long time to reach you after been ordered. Club sunsmile is set back from the main street which i found beneficial as it was quiet at night time. The pool area was very clean and well maintained the chlorine levels are checked on a daily basis. The restaurant area was small but clean the food was cooked fresh when ordered and was very well presented. The rooms are large and spacious they are cleaned on a daily basis with fresh towels provides daily.